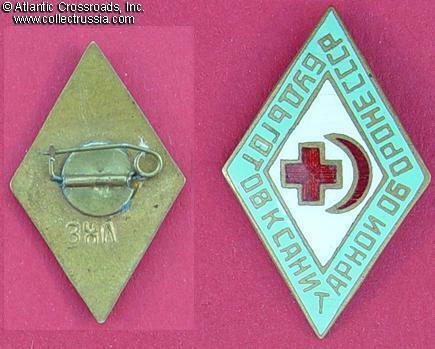 Be Ready for Medical Defense of the USSR, pin back variation with maker mark, 1930s-40s. Brass, enamels. Diamond-shaped, with turquoise border. Raised factory mark "ZKhL" to the reverse. Excellent condition.